After completing this course students will have the knowledge to source equipment and materials to brew their own beer. They will have an understanding of the brewing process and knowledge will have been shared with them to give them the confidence and know how to tackle their own brewing projects. 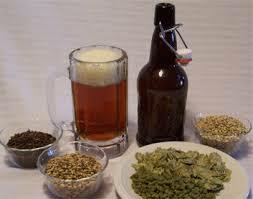 Des has been homebrewing for 9 years, and has carried out many brewing demonstrations to corporate events. He has been awarded gold medals for his beers at the Irish National Homebrewing Competition.